With the launch of http://www.GenerousGardeners.com, gardeners can now find other local gardeners with whom they can exchange, buy or sell garden plants. What is your garden worth? "Find out by listing your extra plants, seeds and produce on our new website," says co-founder and Gloucester resident, Susan Kelly. GenerousGardeners.com was started by two avid New England gardeners who recognize that gardeners have always shown their generosity by swapping plants, seeds and produce with other gardeners. Now, gardeners have an online site that enhances their generosity and lets them choose the greener option of swapping or donating excess plants, seeds or produce locally. GenerousGardeners.com also includes a "plants for sale" option that lets gardeners find available local plants. Google Maps is integrated into GenerousGardeners.com to enable gardeners to find other local gardeners. Gardeners can also use GenerousGardeners.com to find, or be found by, local charity organizations that can reward plant donators with tax deductible receipts in exchange for their plant donations. Excess garden plants which might have been thrown onto the composting pile are now earning tax deductions for Generous Gardeners. GenerousGardeners.com also includes an extensive plant database of perennial plants, as well as plant propagation and annual maintenance information for perennials. Right now, gardeners all over the country can start listing plants for sale, swap or donation on GenerousGardeners.com. In fact, current plant donations are needed for the Second Annual Generous Gardeners Plant sale benefiting the Gloucester Education Foundation. This year's event will be held on Saturday, May 19, at Stage Fort Park in Gloucester. Gardeners who donate plants will receive a tax deductible receipt equal to the amount of the sale proceeds of their donated plants. 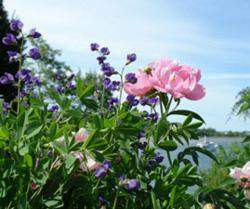 For more information, contact Susan Kelly at susan(at)generousgardeners(dot)com.